The 2016 Jaguar F-TYPE will receive substantial upgrades, including the addition of Instinctive All Wheel Drive® (AWD) as standard on R models and an option on S models, an available six-speed manual transmission available on Rear-Wheel Drive V6-powered models, and Electric Power Assisted Steering (EPAS)1. The fundamentals remain true to core DNA of Jaguar vehicles: lightweight construction, refined power, perfect proportions and outstanding design. The enhancements broaden the F-TYPE range, from a supercharged V6 driving the rear wheels through a manual gearbox, to the 550hp F-TYPE R Coupe and Convertible with the supercharged V8, AWD and eight-speed Quickshift automatic transmission. Transmitting the V8’s 502lb-ft of torque to the road though all wheels helps the R models to accelerate from zero to 60mph in just 3.9 seconds on the way to a maximum track speed of 186mph2. While the Jaguar eight-speed automatic transmission offers an excellent blend of shift speed, comfort and refinement, there will always be a select group of enthusiasts who want the satisfaction which comes from changing gear manually. To meet that demand a six-speed manual transmission is now exclusively available for the V6 and rear-wheel drive (RWD) configuration. The car features a short-throw gear lever with a travel of only 1.77-inches (45mm), closely-spaced ratios, and pedals well placed for heel-and-toe changes. The F-TYPE becomes the first Jaguar sports car to use Electric Power Assisted Steering (EPAS). Years of development ensure that the technology is now mature enough to deliver the expected response and feel. This electric system provides power assistance only when needed, reducing fuel consumption and CO2 emissions. Those seeking the ultimate in top down performance will now find it in the new F-TYPE R Convertible, with standard AWD and 550hp, which replaces the RWD-only 495hp F-TYPE V8 S. A 5.0-liter V8 combines direct injection and a twin-vortex supercharger to provide immediate response to the driver. With the top down on an open road, this engine’s unmistakable soundtrack is exhilarating. Developing 550hp and 502lb-ft of torque, the all-alloy quad-cam engine in the R Coupe and Convertible is matched exclusively to the QuickShift automatic transmission and All-Wheel Drive. The extra traction of AWD enables the R Convertible to accelerate from 0-60 mph in only 3.9 seconds – matching the R Coupe – up to an electronically-limited top speed of 186 mph2. Enhancements are not limited to the chassis and driveline technology. The instrument cluster features new dials and gauges. The infotainment system has been upgraded, and the F-TYPE now features InControl Remote™, InControl Protect™ and InControl Apps™3 connectivity and telematics functions. When away from the vehicle, InControl Remote makes it possible to check information such as the fuel level or the door lock status using a smartphone. The driver can also use a smartphone to start the engine, enabling the climate control system to bring the cabin to the desired temperature before the journey begins. InControl Protect sends a signal automatically to a call center based on a supplemental restraint system trigger; an emergency call can also be initiated manually by the vehicle occupants. For 2016 model year the F-TYPE also features an increased level of standard equipment, providing the features customers expect from a premium sports car. Now standard is the top-spec 770W Meridian™ surround sound audio system, SiriusXM® Satellite Radio & HD Radio™, Jaguar Smart Key Keyless entry – making the most of the unique deployable door handles of the F-TYPE – and 14-way fully power-adjustable seats. Coupe models also receive the panoramic glass roof as standard, adding a tremendous amount of light to the cabin. R Coupe models receive a power tailgate as standard. On S models standard equipment now includes Configurable Dynamic Mode1, a flat-bottomed racing-style steering wheel and the driver-selectable Switchable Active Exhaust. 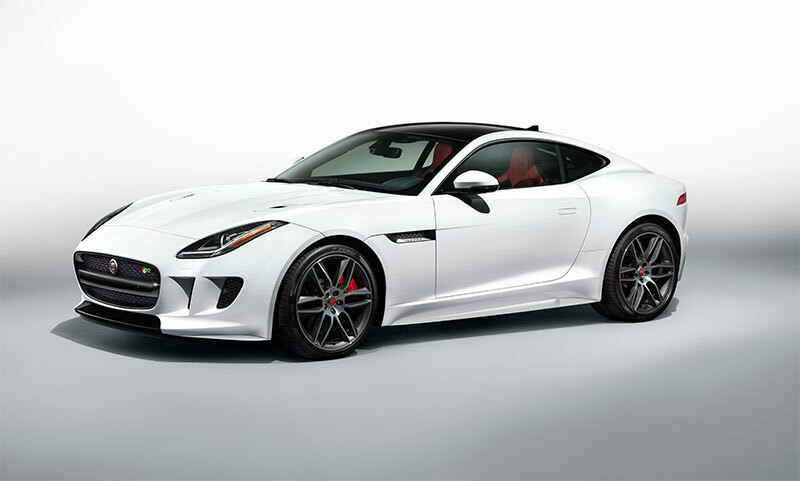 The new 2016 model year F-TYPE Coupe and Convertible range will consist of: F-TYPE (340hp, rear wheel drive with automatic or manual), F-TYPE S Coupe (380hp automatic with RWD or AWD, or manual with rear-wheel drive), and F-TYPE R (550hp automatic with AWD). The AWD system is offered as an option with the 380HP V6 F-TYPE S Coupe and Convertible and is standard on the 550hp R Coupe and Convertible, all equipped with the eight-speed QuickShift automatic transmission. The underlying development philosophy for AWD was to maintain the inherent agility and precision of the rear-wheel drive character of the F-TYPE while delivering the traction and handling benefits that Instinctive All Wheel Drive offers. From behind the wheel, drivers will quickly notice the extra abilities that AWD adds to performance, handling and road holding1. Operating on the torque-on-demand principle, the AWD system sends 100 percent of the engine’s torque to the rear wheels under normal driving conditions. This maintains the rear-wheel drive handling characteristics of the F-TYPE and also reduces parasitic losses in the drivetrain. If the system determines that the rear wheels are approaching the limit of available grip, the electronically-controlled center coupling transfers up to 50 percent of the engine’s torque to the front axle. The system can vary front/rear torque split to mitigate oversteer and understeer when cornering by providing yaw damping. Upon entering a corner, if the car begins to oversteer, torque can be transferred to the front axle, generating a stabilizing moment. The process is virtually transparent to the driver. As a result, entry speeds can be higher, and the driver can apply more power sooner in preparation for corner exit. The AWD system features Intelligent Driveline Dynamics (IDD), a control system designed and developed by Jaguar to maximize the benefits of AWD without any compromise to dynamics. IDD is networked to the powertrain, rear differential and center coupling and Dynamic Stability Control (DSC) system to provide optimum torque distribution. Algorithms within the IDD controller continuously estimate road surface friction. The controller uses measurements from yaw rate, steering wheel angle, wheel speed, and lateral and longitudinal acceleration sensors. It also takes into account the Driving Dynamics mode selected by the driver. The IDD controller and the EAD controller use this data to determine what the vehicle is doing – known as a “state estimate” – and the design of the IDD system enables a common state estimate to be used in both controllers. This detailed monitoring of the vehicle’s dynamics enables optimized torque distribution across the rear axle, and from front to rear, by applying both pre-emptive and feed-back control of the active driveline technologies. The result is improved agility and steering response, and the extra level of control this brings increases driver confidence. Another benefit that AWD and IDD bring, compared to rear-wheel drive, is greater differentiation between Normal, Rain/ice/snow and Dynamic modes1. With Rain/ice/snow mode selected, the IDD control software is designed to deliver a more AWD-like character than Normal mode, while Dynamic mode provides the most rear-drive biased character. Since the system is continually updating its estimate of road surface friction, IDD will select the most suitable calibration. Visually, AWD models are differentiated by ‘AWD’ badging on the rear and subtle but distinct changes to the exterior styling. The AWD aluminum clamshell hood is reshaped, giving the F-TYPE greater presence and optimizing packaging around the powertrain. On the hood are new vents: positioned further apart and further forward than those of rear-wheel drive F-TYPE models. AWD models also feature unique body-color side sills, as well as a body colored venturi on R models or valence around the exhaust tips on S models. Meticulous attention to weight distribution means that the AWD F-TYPE retains excellent balance, with the weight moving forward by only 1.2 percentage points compared to the rear-drive models. The six-speed manual transmission in the F-TYPE has been designed to for enthusiasts and purists. The combination of the free-revving supercharged V6 and a precise, perfectly-weighted shift delivers motoring nirvana. The outstanding QuickShift automatic transmission is still a benchmark for shift speed and refinement, but for discerning enthusiasts, the purest driving experience comes from executing perfectly timed shifts using a manual gearbox. To meet this demand, Jaguar has integrated a highly efficient six-speed ZF® transmission into the lightweight aluminum body structure of the F-TYPE. This manual transmission is matched exclusively to the rear-wheel drive 340hp and 380hp V6 powertrains. The new manual transmission was developed for the F-TYPE with the experts at ZF. This compact unit features a lightweight aluminum alloy casing and an innovative semi-dry sump lubrication system to improve efficiency. Instead of relying on the usual splash lubrication method, the gearbox in the F-TYPE uses a compact mechanical pump driven from the layshaft to spray oil on to the meshing gear teeth, bearings and the synchronizer rings. Providing lubrication to exactly where it is needed with low viscosity oil significantly reduces drag losses. It also means that the gearbox contains just 1.2-liters of fluid, saving weight and improving packaging. The custom-designed bellhousing contains a dual-mass flywheel for excellent NVH properties and a single-plate dry clutch has been engineered for reduced rotational inertia, therefore reducing shift loads. Connecting the driver to the gearbox is a shift mechanism which combines the direct, short throw essential to a sports car application. Every tactile detail from the gearbox detent profiles, shift lever mounting bushings, and the shape of the center console armrest have been scrutinized to create an extraordinary manual transmission driving experience. The rod linkage provides the most direct connection between the gear lever and the selector forks. Every mounting bushing has been carefully tuned to strike the perfect balance between shift feel and isolation from unwanted vibration. Optimization of the detent profiles gives smooth, precise changes without the high peak loads which result in notchiness when going into gear. A throw of just 45mm ensures fast, precise shifts. Extensive development and testing results in a gear knob set at the ideal height and position for road and track driving. Such is the attention to detail that the center console armrest has been reprofiled for manual transmission models to allow for the optimum movement of wrist, elbow and shoulder during each gear change. To satisfy the most demanding enthusiasts, the brake and throttle pedals are ideally positioned for heel-and-toe shifts. The manual transmission is paired exclusively with the all-aluminum 3.0-liter V6 engine. This supercharged direct-injection unit, in both 340hp and 380hp ratings, is defined by its linear power delivery and willingness to rev and the new gearbox engages the engine’s full performance potential. Under hard acceleration the engine has been tuned to respond directly to throttle pedal inputs. Coupled with the reduced rotational inertias this enables the enthusiastic driver to execute fast, precise heel-and-toe downshifting. The engine ECU provides a speed matching function on upshifts, making each gear change smoother. 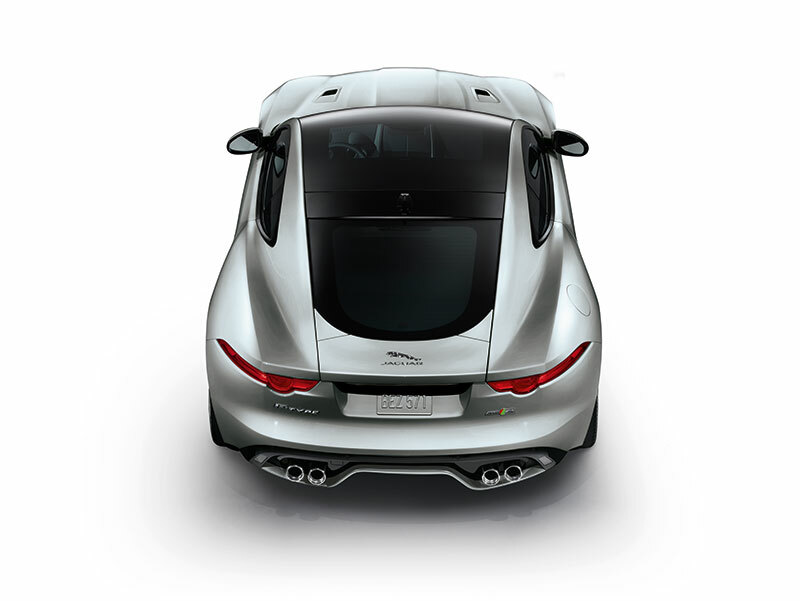 An anti-stall hill holding function makes the F-TYPE easier to start off from a standstill. Jaguar sports cars have previously relied on hydraulic power assistance because it has historically delivered the most natural, intuitive performance feel. In recent years, Electric Power Assisted Steering (EPAS) technology has matured, and now offers far greater tuning potential, excellent steering feel and better energy efficiency. Advanced control algorithms ensure that the F-TYPE steering is free from any trace of the synthetic feel which can taint some EPAS systems. The software even compensates for differences in ambient temperature, ensuring absolute consistency in the feedback the driver gets through the wheel. Hardware improvements were also implemented. Increasing the torsional stiffness of the steering column intermediate shaft helped to deliver the on-center feel needed to achieve our demanding targets. Compared to hydraulic systems, which constantly use power from the engine, EPAS only uses electrical energy when assistance is needed, thereby reducing fuel consumption and CO2 emissions. 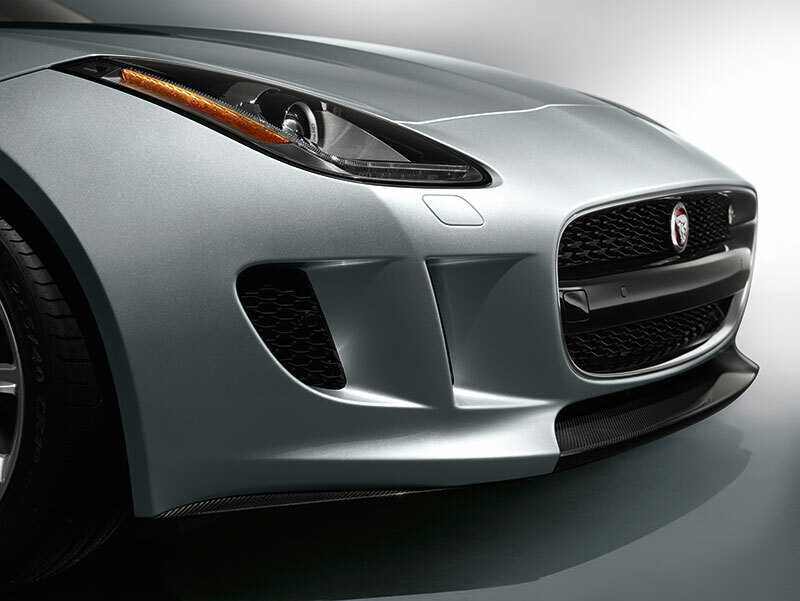 These improvements make the lightweight aluminum F-TYPE more efficient. The F-TYPE offers a connected drive in every sense. Just as the chassis and the powertrains are engineered to respond immediately – and exactly as the driver expects – the infotainment systems have been developed to be as intuitive to use as possible. All models feature an 8-inch capacitive Touch-screen with a new user interface. The crisp, clear graphics make them quick and easy to use3. 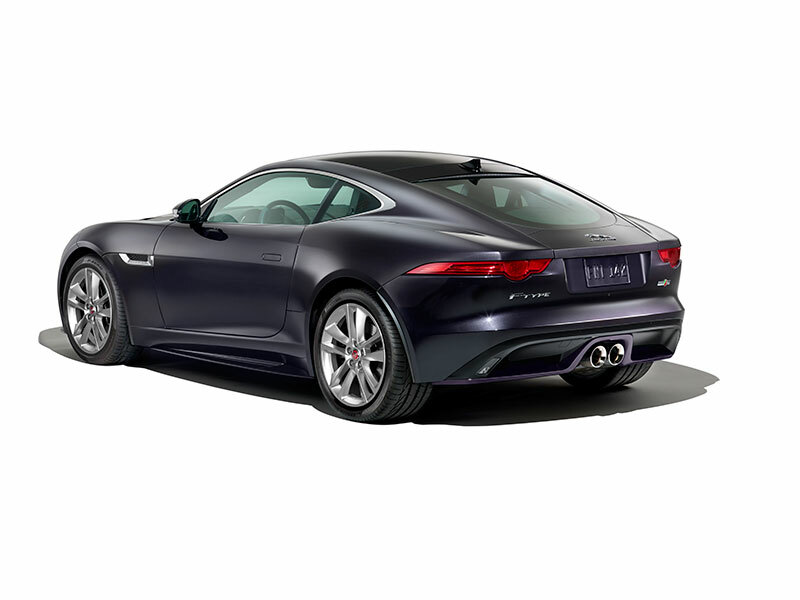 For the 2016 model year the outstanding Meridian™ 770W surround sound audio system is standard on every F-TYPE model. The F-TYPE ensures that drivers stay connected too, thanks to InControl Apps™. Connecting Apple and Android smartphones using the dedicated USB port gives seamless access to compatible third party apps stored on the device through the vehicle’s Touch-screen3. Jaguar InControl Protect™ technologies have been created to improve safety, convenience and peace of mind. Should the car be involved in a collision severe enough to deploy the airbags, the integrated telematics module will automatically call emergency services and notify them of the vehicle’s location. This feature can also be triggered manually by pressing the SOS emergency call button. In the unlikely event of a breakdown, F-TYPE owners can quickly and easily summon Jaguar Roadside Assistance simply by pressing a button on the overhead console. This will automatically connect them to the Jaguar Roadside Assistance operator, and will also send information on the vehicle’s location and status. The InControl Remote™ app allows the driver to interact with their F-TYPE in a completely new way. Using their smartphone, drivers can see how much fuel is in the tank, if the windows are closed or if the alarm has gone off. Better still, it enables the driver to remotely lock or unlock the car and reset the alarm – from anywhere in the world. The beep and flash feature can help drivers to find the car again – perfect for busy parking lots or crowded city streets. InControl Remote also makes it possible to start the engine remotely. (Not available on manual transmission cars.) This feature enables the climate control system to bring the cabin to the desired temperature before the journey begins. All Jaguar InControl functions are standard on the 2016 model year F-TYPE. 1These features are not a substitute for driving safely with due care and attention and will not function under all circumstances, speeds, weather and road conditions, etc. Driver should not assume that these features will correct errors of judgment in driving. Please consult the owner’s manual or your local authorized Jaguar Retailer for more details. 2Always follow local speed limits. 3Driving while distracted can result in loss of vehicle control. Do not operate, adjust or view the navigation or multimedia systems under conditions that will affect your safety or the safety of others. Only use mobile phones, and other devices, even with voice commands, when it is safe to do so.